Doctors, nurses, sign letter demanding Finance Minister Kahlon equate taxes on rolling tobacco with those of regular cigarettes. Over three hundred doctors wrote a letter to Finance Minister Moshe Kahlon (Kulanu) demanding he agree to raise taxes on rolling tobacco to equal those on pre-made cigarettes, Israel Hayom reported. 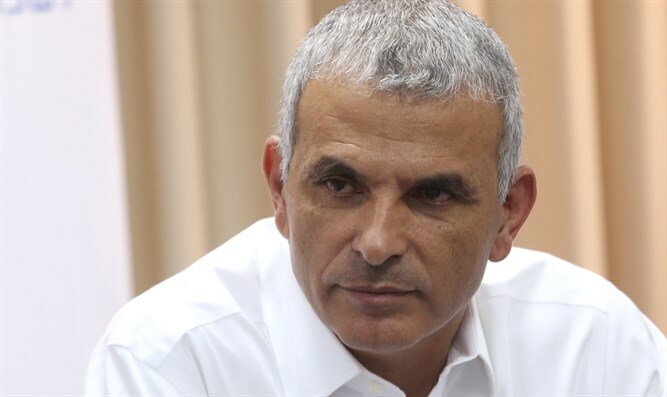 Until now, Kahlon has staunchly refused to equate taxes on rolling tobacco to those of regular cigarettes, claiming his goal is to lower prices and that equating taxes goes against what his party stands for. His refusal has prevented a government-approved national plan for reducing the number of smokers in Israel from being implemented. Israel Hayom quoted the letter, which was signed by 332 doctors from around Israel, as well as by nurses and other health professionals, as saying that: "Smoking is the leading cause of death among Israelis. Each year, 8,000 people die from damage caused by smoking. This is more than the number who die from road accidents, terror, and pollution put together. The difference in taxation causes the price of rolling tobacco to be half the price of a package of cigarettes....the fight against smoking has been halted, and smokers are switching to rolling tobacco because of its price." "Significant taxation of tobacco products has been proven to be the most effective way to reduce consumption of the products. Your refusal to take this step worsens the damage caused by the sale of these products." In May, a survey showed that 59% of Israeli children are exposed to second-hand smoke.